I remember the days scouring my grade school library bookshelf for the latest copies of Berenstain Bears. In fact I was such a huge fan a few years later I told a classmate that I like Berenstain Bears and he was shocked I “still read those books.” That sadly was the last time I read Berenstain Bears. I bring up this story because kids today still read books, but the platform they are read on are much different. In my time the platform was paper and ink now in the 21st century it’s mobile. 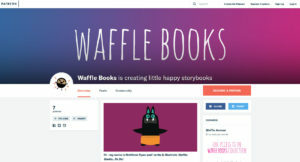 Thankfully there is a author writing just for this 21st century platform called Waffle Books. Waffle Books follows the adventures of Patrick, Kevin, Arty, and a few of their friends. When Matthew Ryan started writing children’s books his mission was to give kids access to a library of books they’d be interested in inside their pocket. A library full of books that are designed specifically for small screens. How’s Matthew Ryan Doing Today? Today I’m happy to report the response has been fantastic! Not only does Ryan get to follow his passion writing books, his books get 4+ ratings on Apple iBooks and many have been editorially featured by Apple, Google Play, and the Google Chrome Store. Yes, like many many Patreon campaigns I’ve featured on Cash Sherpa there are bonuses. Do you worry! For $1 you get FULL ACCESS to the Waffle Book collection! Yes, you heard right only $1. That’s insanity! For only $5 get early access to books. $10 gets you behind the scenes. $15 or more per month gets you hand drawn characters, once a month in fact. You can’t even buy a mixed drink in New York for less than $15. The value of these bonuses are incredible. 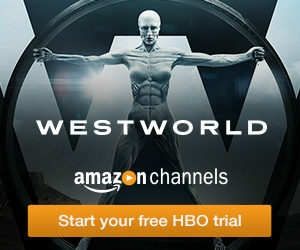 I know it’s an old argument, but growing up with the Internet we got used to free or near free pricing. What I think we failed to realize is that when everything is free or nearly free it becomes generic, almost utility like. I think it’s already started, but society needs to support/value the people and products that resonate with us. It’s time we put our money where our mouth is. Let artists and creators earn money pursuing their passions. Support Matthew Ryan’s Patreon campaign today. In order to complete the game you’ll need to show great precision and fast thinking if you want to help your hero win the battle. Enjoy the captivating and visually appealing 2D fantasy setting. 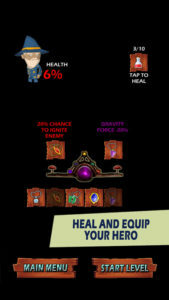 Guide your wizard hero trough the story and beat all enemies to save your girlfriend and the whole village. 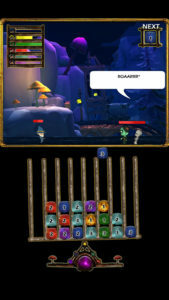 The game is currently in version 1.2. 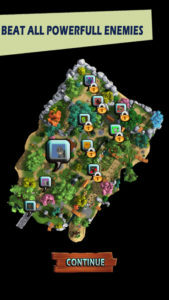 Cosmetic changes and various bugs have been fixed. Are There Different Game Modes? Support Aleksandar Milenkovic and his game Leverage Connect 3 Balance Battle. Download from iTunes today. Want a better date night and as a result a better relationship? There’s a new app that looks to solve the age old question, “What should we do for date night?” The app is called Datecrawl. App was launched in Cincinnati two weeks ago for Android and iOs. Datecrawl is the world’s first platform designed to share datenight ideas and ultimately enhance relationships. I know from experience coming up with new, fun date ideas can be daunting. It’s so easy to get stuck in the same dating routines especially when you find what you both enjoy doing together. Even things you both enjoy get a little stale after a while. Datecrawl puts the life back into your dating routine and provides you with helpful tips for things like what to order, where to park, and so on. If a date doesn’t work out just blame it on Datecrawl. Is The App Any Good? App gets 4.5 out of 5 on iOs out of 8 reviews and it’s not rated on Android. I really like this idea. It seems there are a lot of apps out there that help people get into relationships, but very few to help support those relationships. 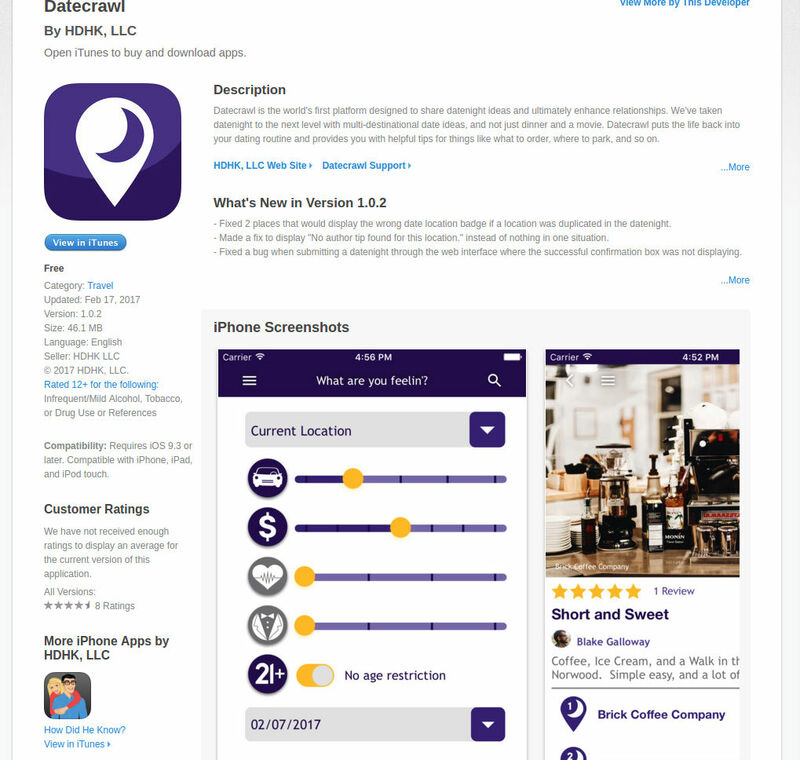 We need more apps like Datecrawl. Instead of making dating the only thing important in the app store, we need apps that help enhance current relationships. Like comedian Chris Rock said, “Relationships, easy to get into, hard to maintain.” May be with the help of apps like Datecrawl relationships won’t be as difficult to maintain anymore. 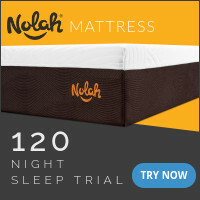 This is one of those products that I think to myself, “Why didn’t I think of that?” In a way it’s common sense. Why wouldn’t a cell phone case protect the body from potentially harmful radiation? For the price of a fun night out, you get peace of mind about radiation, protection for your phone, and a stylish accessory to boot. FYI: The side facing your body is shielded. If it was completely shielded you wouldn’t receive phone calls. Yes, there are many rewards to this Kickstarter campaign. $5 gets you on the mailing list, $24 early bird special gets you one case, $30 get’s you a case as well, $40 early bird gets you two, $56 gets you two cases as well, $96 gets you four cases, and $200 gets you ten cases. You don’t need to wear a tinfoil hat to be concerned about mobile phone radiation. 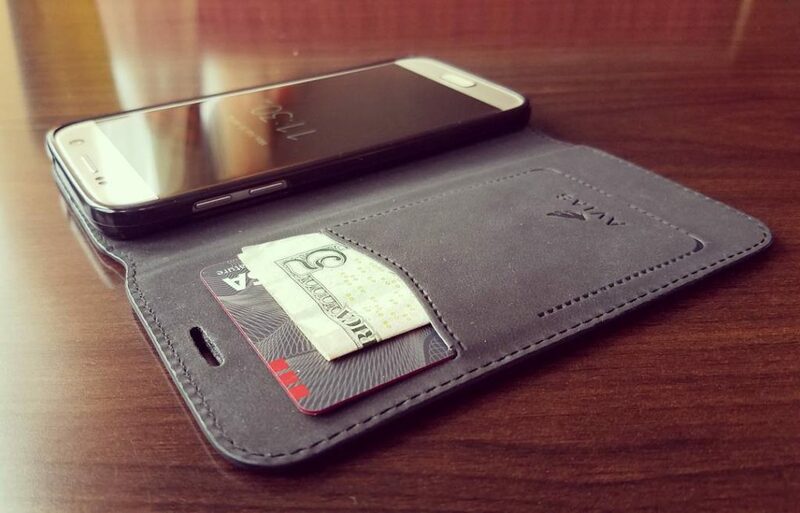 This stylish Avias case with some peace of mind built in. 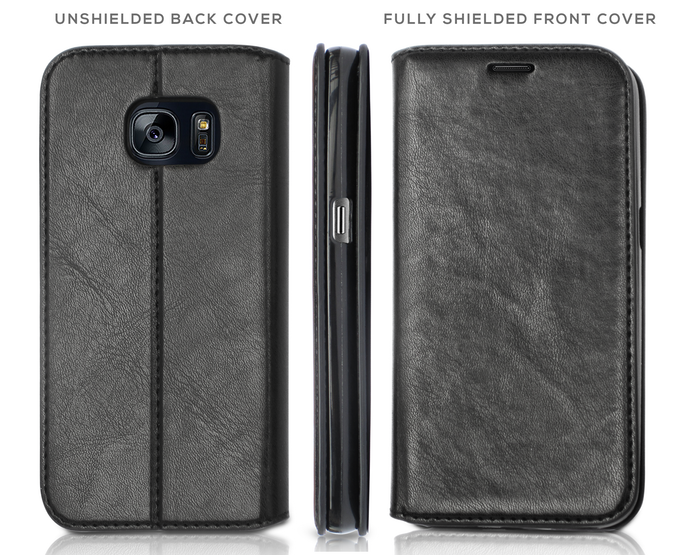 You already need a cell phone case, why not purchase a case with radiation protection built in? 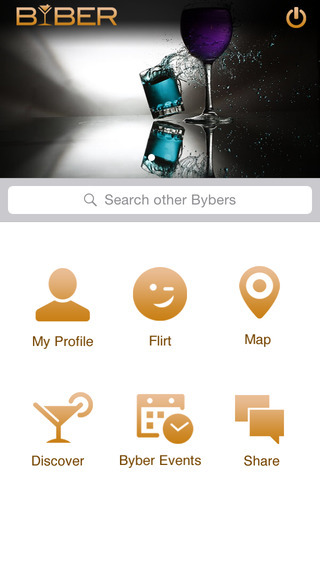 Byber is a brand new app designed to help you meet new people, connect with friends and explore what your neighborhood has to offer. Byber helps you meet people in your neighborhood more easily. Setting up your profile is easy. Just upload a picture of yourself and enter a short description. Now just sit back and relax and you will start to receive ‘drink offers’ it you set up an interesting profile. 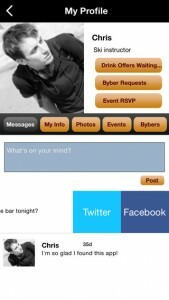 You will also receive ‘Byber Requests’ and RSVP to events. You can share and communicate your activity on Facebook and Twitter. This is a very powerful app and I think it takes the concept of sites like Tinder to another level, but it’s all dependent on how many users are using the app. Anything that has to do with meeting people and/or dating is totally dependent on how many actual people are active on the app. This social networking app is brand new, just updated Jan 16, 2015. The idea is solid so I wish them the best of luck! Welcome to another review by CashSherpa.com of a new app you may of never heard about. 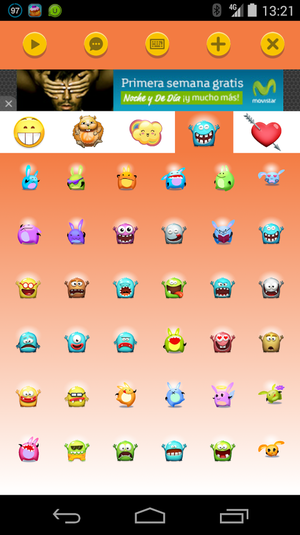 The app of the day is called Lindos Emoji HD. If you’re one of those geeks who likes sending smileys and doodles to your dearest friends in WhatsApp, Facebook, Twitter, and other social media sites, today I bring you an app for Android to get Top emoticons, smileys, memes and signs. Show your excitement and status thanks to these fantastic emoticons: sadness, love, joy, joke, and almost any other expression. Share them with WhatsApp, Facebook, email or simply use them as images. Also, you can locate the emoticon that best suits your mood through the predefined categories: faces, animals, memes, signs, monsters, love and Christmas. On the Google Play App Store the Lindos Emoji HD gets 4 out of 5 stars with almost 1400 people rating. Check out the app here on Google Play.